THE SKY I SCRAPE: It's Official! Big Day Out! 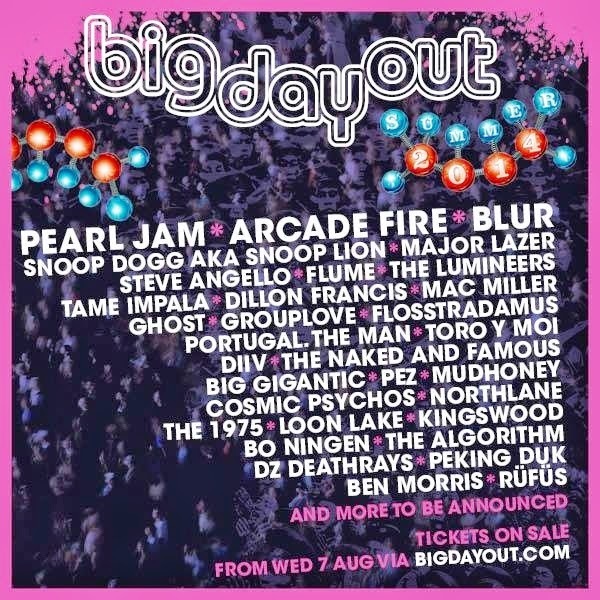 Pearl Jam announced today that they will be joining Arcade Fire, Blur, and Snoop Lion for Australia's Big Day Out, a seven-date traveling festival. Big Day Out is proud to present Seattle’s PEARL JAM who will be playing at each Big Day Out including different sets at each Sydney show. Officially closing the Blue Stage, you don’t want to miss out on Pearl Jam’s debut Big Day Out shows. This will be your only chance to see Pearl Jam in Australia and New Zealand this summer. Here are your dates for the Australia Summer! For ticketing information, see the Ten Club announcement here.